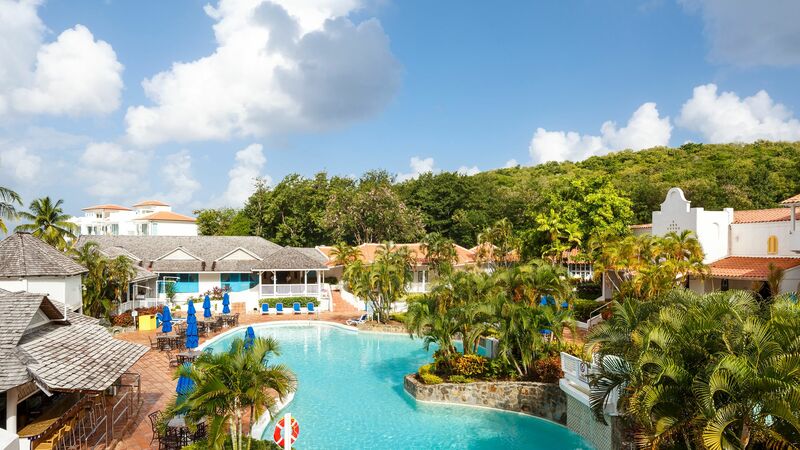 Windjammer Landing Villa Beach Resort is situated in a premier hillside position and is a fantastic choice for families, couples, and friends seeking all inclusive luxury in the Caribbean. Overlooking stunning Labrelotte Bay, this expansive resort offers tasteful, Caribbean-styled rooms and villas, some with a private plunge pool. All meals, drinks, most water sports and activities are included, offering endless options for adults and kids. Some of St Lucia’s finest restaurants can be found here, and families will love the daily Jacquot Fun Club, children’s swimming pools and calm beaches. There is a dive shop onsite, with daily snorkelling and scuba diving excursions are available. Relax after a day of adventure with a spa treatment, a sunset cocktail overlooking the sea, or a delightful meal at one of the property’s five restaurants. Breakfast, lunch, dinner and snacks daily. All meals are served either buffet or à la carte, including themed buffet nights. Guests can dine at all 5 restaurants, some menu items may hold a supplement, reservations and dress code required for select restaurants. 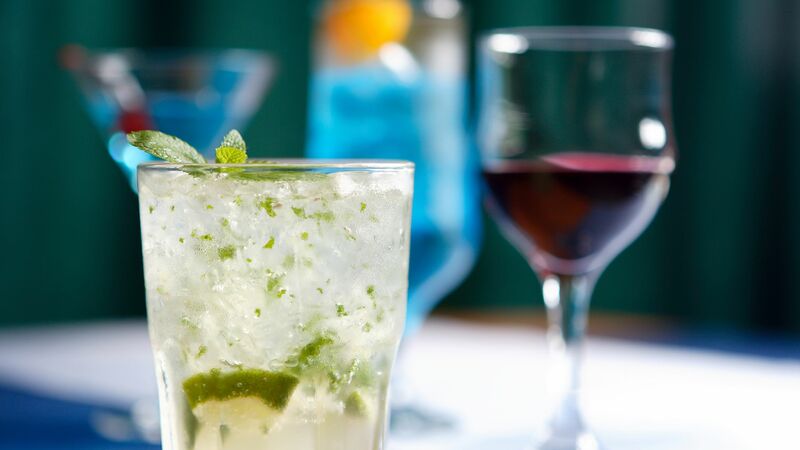 Unlimited premium and local brand alcoholic and soft drinks including house wine by the glass and cocktails. Watersports including waterskiing, knee boarding, wakeboarding, banana boat rides, windsurfing, snorkelling, kayaking and Hobie cat sailing. Daily activities include dance aerobics, volleyball, aqua aerobics and tennis clinics. Evening entertainment consists of professional shows and live bands. 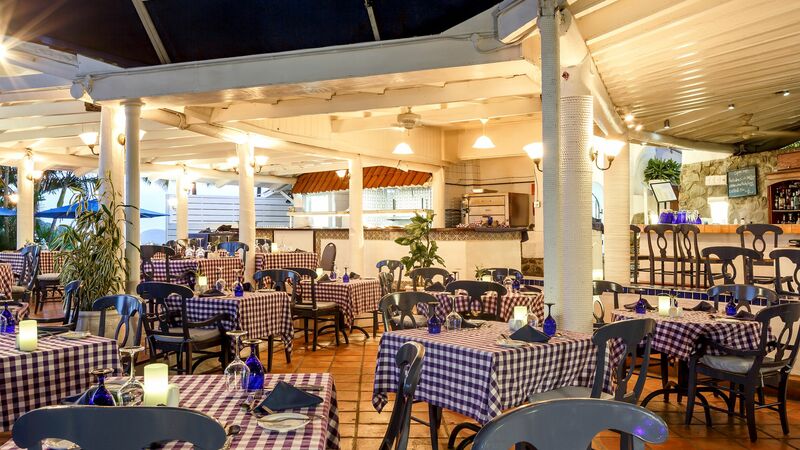 This romantic, open air restaurant offers traditional regional Italian cuisine, including risottos, saltimbocca, and chicken and seafood dishes. Pizzas and pastas are also available. Open for breakfast and dinner, this popular open air restaurant faces the pool and ocean. 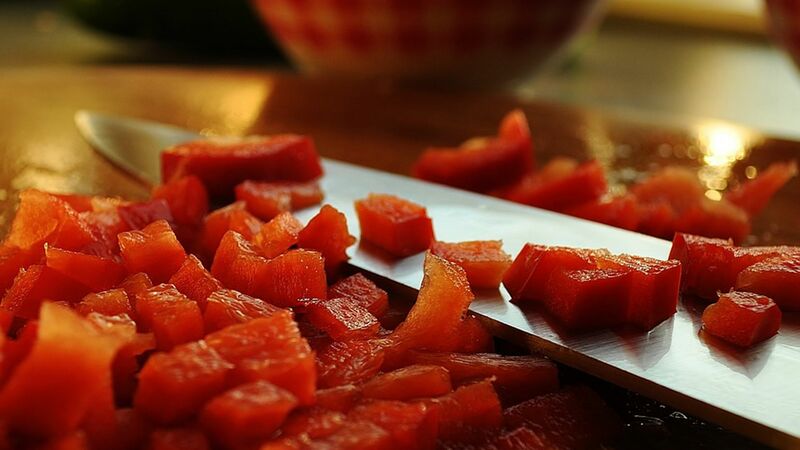 Breakfast is a hearty buffet, while dinner features a rotation of different Caribbean cuisines, and offers a Caribbean buffet on Tuesday nights. This casual restaurant offers a beachfront lunch service, including tacos, burgers and sandwiches. On Sundays, there is a popular brunch. 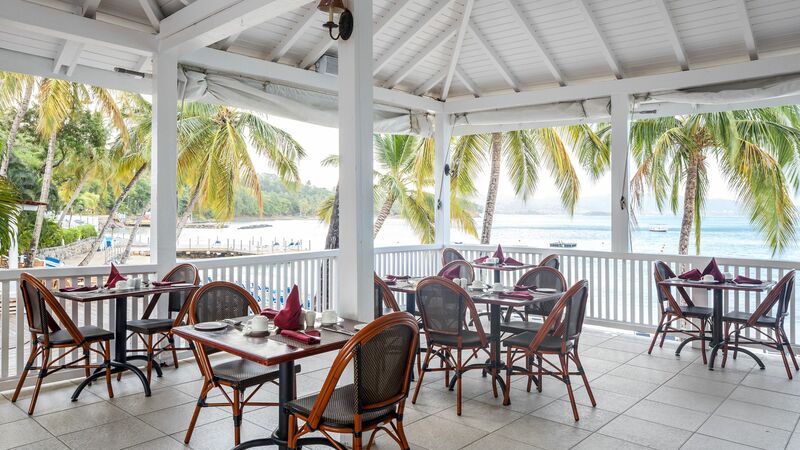 Open for lunch and dinner, this beachside restaurant offers international and Caribbean fare, such as mango rum shrimp, steak frites, burgers and soups. Nightly live entertainment is offered, including a flame eater show on Tuesdays. 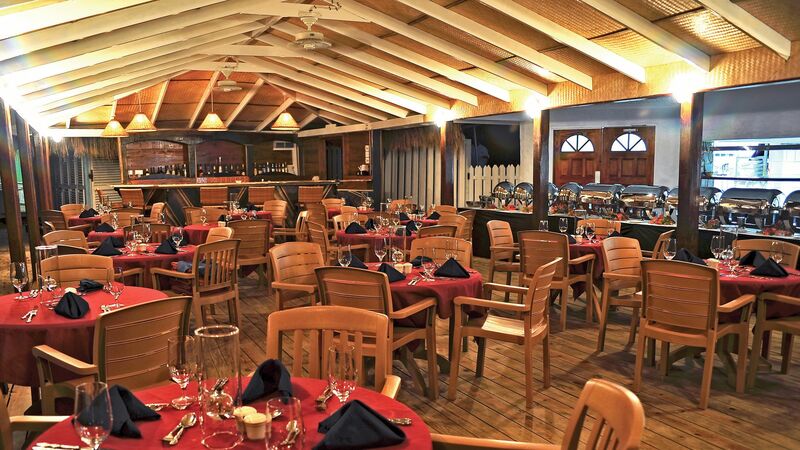 This renowned steakhouse offers top quality beef and steaks, freshly caught seafood, and multi level seating, perfect for taking in the island’s sunsets. Guests can upgrade to the Connoisseur’s Choice, offering additional high end steaks beyond the a la carte menu. Four tropical bars can be found throughout the resort, located in Embers, Papa Don’s, and Jammer’s. 96 degrees in the Shade is a fun tiki bar located on the beach and offers cold drinks and cocktails. The resort offers six swimming pools – one main pool, three secluded pools and two specifically for children. Towels, sun loungers and umbrellas are also provided. The resort has its own secluded beach, offering crystal clear, calm waters, perfect for swimming or water sports. Sun loungers, umbrellas, and towels are provided. The Kids’ Club offers a variety of day programmes for children. Activities change daily and include sports and activities, including coconut bowling, puppet making and arts and crafts, as well as lots of beach fun. There is also a Teen Club, which offers supervised activities during the day and events in the evenings. These include a disco, water sports and more. The Spa at Windjammer Landing Villa Beach Resort is a world class facility with over 5,000 square feet of treatment and wellness areas. 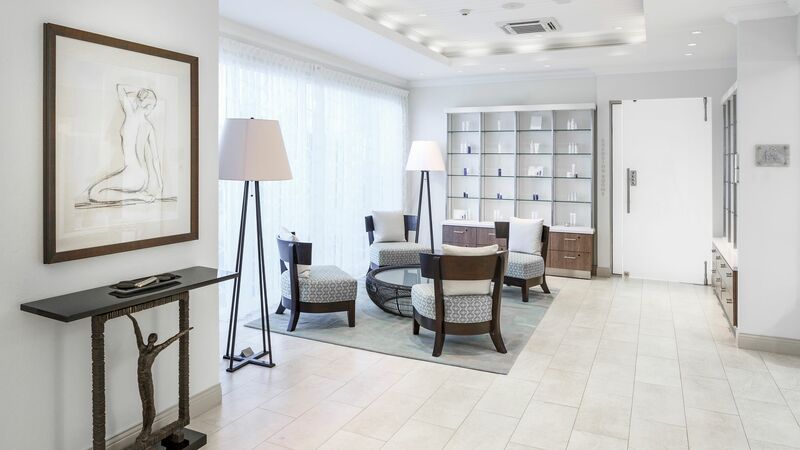 Guests can fully relax with a range of massages, facials, beauty treatments, Japanese soaking tubs, outdoor showers and the hotel’s own line of local, hand blended products. 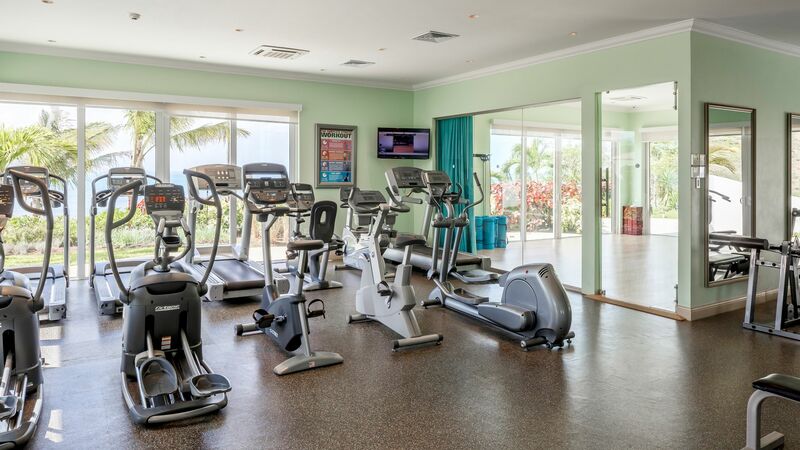 Keep up your fitness programme at the hotel’s gym, which features the latest cardio and weight machines. Guests can rejuvenate with a range of classes, including yoga, paddleboard yoga and tai chi. All non motorised water sports are included, such as pedal boating, kayaking, banana boat rides, catamaran sailing and windsurfing. Water skiing and wakeboarding are also available. 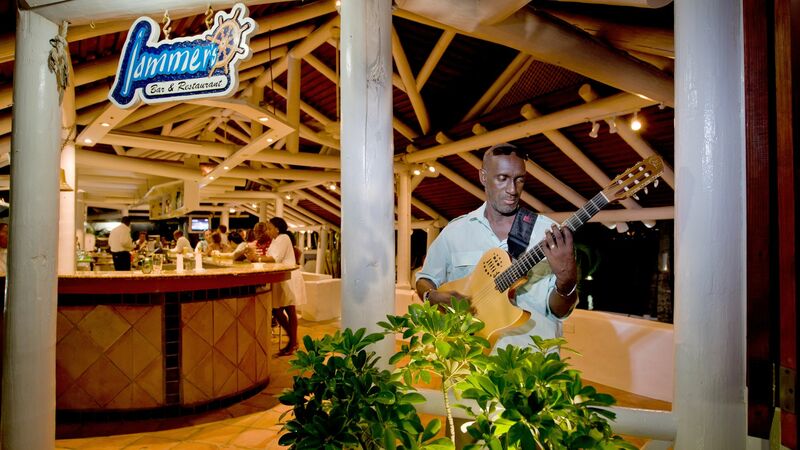 Nightly entertainment is also offered at the Windjammer Landing Villa Beach Resort. Watch dancing, live music and lots more. Labrelotte Bay, a crescent moon shaped bay on St Lucia’s North East coast, offers the ultimate in Caribbean relaxation. Unwind in a hammock under the swaying palms before cooling off in the crystal clear waters of the beautiful bright blue sea. In addition to swimming, explore the underwater world with snorkelling and scuba diving excursions. Here you’ll see colourful tropical fish and corals, as well as shipwrecks. Just a few minutes’ away is the St Lucia Golf Resort and Country Club, the only 18 hole course on the island. In addition to sports, learn more about the island’s history on a cultural tour, visit a historic plantation or rum distillery, or call into one of the area’s historic churches. 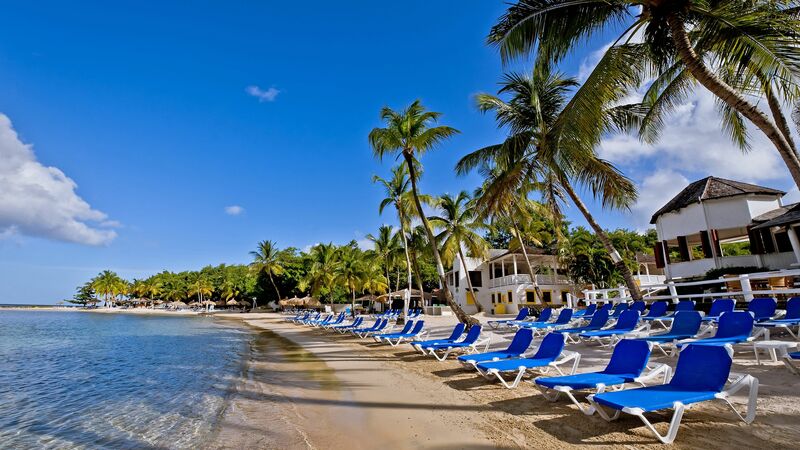 Windjammer Landing Villa Beach Resort is 90 minutes from St Lucia Airport. Premium Ocean View Rooms are approximately 52m² and have the same facilities as above and a queen size bed. Ocean views can be seen from the sundeck on the rooftop terrace. From 21 December 2018, this room type will be known as an Ocean View Guest Room. One Bedroom Villas are approximately 102m² and feature a living and dining room, a fully-equipped kitchen and a sun deck with ocean views. From 21 December 2018, this room type will be known as a One Bedroom Ocean View Villa. Two Bedroom Ocean View Rooms feature air-conditioning, TV and DVD player, safe, coffee machine, mini fridge and hairdryer. From 21 December 2018, this room type will be known as a Two Bedroom Ocean View Room. One Bedroom Villas are approximately 102m² and feature a living and dining room, a fully-equipped kitchen and a sun deck with ocean views and swimming pool. From 21 December 2018, this room type will be known as a Premium One Bedroom Villa. One Bedroom Hibiscus Suites are located close to the beach, pool and restaurants and are designed with Caribbean décor. Suites boast a separate living area, fully-equipped kitchen and a private Jacuzzi® on the furnished balcony. From 21 December 2018, this room type will be known as a One Bedroom Oceanfront Suite. Two Bedroom Hibiscus Suites are located close to the beach, pool and restaurants and are designed with Caribbean décor. Suites boast a separate living area, fully-equipped kitchen and a private Jacuzzi® on the furnished balcony. From 21 December 2018, this room type will be known as a Two Bedroom Oceanfront Suite. Two Bedroom Villas with Pool are approximately 167m² and feature en-suite bathrooms as well as a living and dining area and fully-equipped kitchen. From 21 December 2018, this room type will be known as a Premium Two Bedroom Ocean View Villa. Three Bedroom Villas with Pool feature en-suite bathrooms as well as a living and dining area and fully-equipped kitchen. From 21 December 2018, this room type will be known as a Premium Three Bedroom Ocean View Villa. We stayed here with a large group and did the all-inclusive option. Everyone was scattered throughout the resort staying in individual villas and some in larger villas. We had a 2 bedroom villa in the building next to the lobby so we were close to the restaurants, beach and water sports boathouse. Some of the others were high up on the hill. The incline is very steep so walking uphill is tricky. (There is a shuttle service.) The restaurant options are limited so the food is repetitive. There are four restaurants with the same executive chef, the food is good and the cocktails are creative and fun. The all-inclusive is funny because you are presented with a bill following each order, and the prices are extremely inflated (like seriously ridiculous) and you must sign for it. It makes you wonder if there is a different system for those who aren?? ?t doing the all inclusive. This process slows things up, it would be simpler if there was a bracelet system or a card system. The beach has white sand and, a water trampoline and overwater hammocks. There is a reef to the left of the beach where you can snorkel and see all kinds of beautiful tropical fish and sea life. We never had any problems finding lounge chairs or shade. The water sport boathouse has great attendants, Gordon is awesome and had us out enjoying kayaks, windsurfing, snorkeling and we took out the sailboats daily. His attention to our water recreation needs really increased the enjoyment of our stay at the Windjammer. Our villa had 2 pools to share with about 7 other units so it felt very private and relaxing. Our villa unit was a bit dated and could use an update but was comfortable and the view was spectacular. We had two large decks and a hot tub which we enjoyed. Overall we really enjoyed our vacation with the company of friends, the staff made sure everyone was well cared for. Full service resort. Friendly and helpful staff. Good beach and multiple pools. Resort is laid out vertically so climbing steps is a requirement. Shuttle service ran frequently for longer destinations. Resort was totally self-contained. $15 cab ride each way to get to town. So bring in what you need. A lovely, relaxing place to spend a week. I?? ?ve taken a few days to reflect before writing my review to make sure I was measured and fair. I?? ?ve never been so disappointed in a resort and glad to be home. It?? ?s simply not value for money. There is a lack of management around the place to ensure high levels of service and standards. The restaurants couldn?? ?t cope with the numbers and produced at best average and tasteless food, with sometimes up to an hour or more wait. The staff look overwhelmed and some are fairly surly. The bar staff tried their best but couldn?? ?t cope and often just quickly rinsed a dirty glass under the tap before using it for another customer. The bar area was stacked up with dirty glasses - all plastic at that. The towel card system is tedious and not befitting an alleged 4/5 star property and the beach is crowded and noisy. The lack of sun shades means that guests all huddle close to the shade of the trees. The water sports centre is good and well equipped and the guys working there are patient and friendly but the walk to it highlights the overall shabbiness of this place. It?? ?s tired and dated. The villas are dotted up the mountain side- for many this is a shuttle bus ride away. This is a nuisance when shuttles are irregular or dropping/ picking up several guests- but the drivers did their best. The villa was kept clean by room services although on one occasion clean towels were just dumped inside the door. tea and coffee was regularly supplied. Our villa felt dated and somewhat shabby with broken blinds in the bathroom. This is certainly not a resort for anyone with mobility issues. The hills are steep and roads uneven. The villas themselves may have many steps inside. The mangers cocktail party lacked any atmosphere and certainly no managers in sight- it just seemed an opportunity for locals to come in and try and sell some wares. There is much lacking at Windjammer- whether it?? ?s because it?? ?s largely a time share place and repeat custom is guaranteed - I don?? ?t know. In my view it doesn?? ?t warrant a 4/5 star. It?? ?s a 3 star resort at best. I can?? ?t recommend this place there are far better places to go. Overall we enjoyed our visit to the WIndjammer. Check-in was easy and we appreciated the welcome punch as well as the upgrade from Essie (thank you!!). We loved our gorgeous 2-bedroom villa with a fantastic view of Martinique in the distance. We loved all the water sports (water ski guys were awesome! ), the gym, and tennis with David (who is a fantastic instructor). Our villa was kept spotless everyday by the housekeeping staff. The grounds and rest rooms were also very well-kept throughout our stay. The beach is beautiful (but short) and we all enjoyed the trampoline in the bay. Also really liked the sunset cruise and snorkeling to the Pitons (very $$ though). The one downside of the Windjammer is the food selection and overall price. There?? ?s only one restaurant for breakfast with lots of repetition vs. the varied selection we expected. How about offering healthier fare like fruit or veggie smoothies. It took us 2+ hrs to have dinner at Upper Deck one night...our waitress was lovely but the food was nothing special and the wait was ridiculous. We enjoyed two nice dinners at Papa Don?? ?s and one good dinner at Dragonfly but they were just ???nice??? and ???good?? ?, not ???great??? and disappointing given the prices. Lunch is lots of ?? ?fast food???. Two other suggestions: the resort needs to do a better job of being enviro conscious. Plastic cups and straws and water bottles everywhere! And, get rid of the chit-signing for all inclusive. It?? ?s repetitious and slows an already slow process (dining) down.